boost their critical thinking skills, and fortifies their early learning ability? Then put the iPad away and get the versatile 81-Piece Wonder Gears play set; a 3D building block kit that helps them become innovative builders! A truly exciting way for children ages 3 and up to learn and grow, these snap-together puzzles offer a unique approach to science, math, and contextual skills an iPad app or mobile device simply can’t capture. and confidence; it also gives moms and dads an insight into a child’s development. to create buildings, castles, or cars complete with battery-powered motion. There are endless possibilities for imagination for boys and girls alike. Your children will build social and critical-thinking skills essential for everyday life. 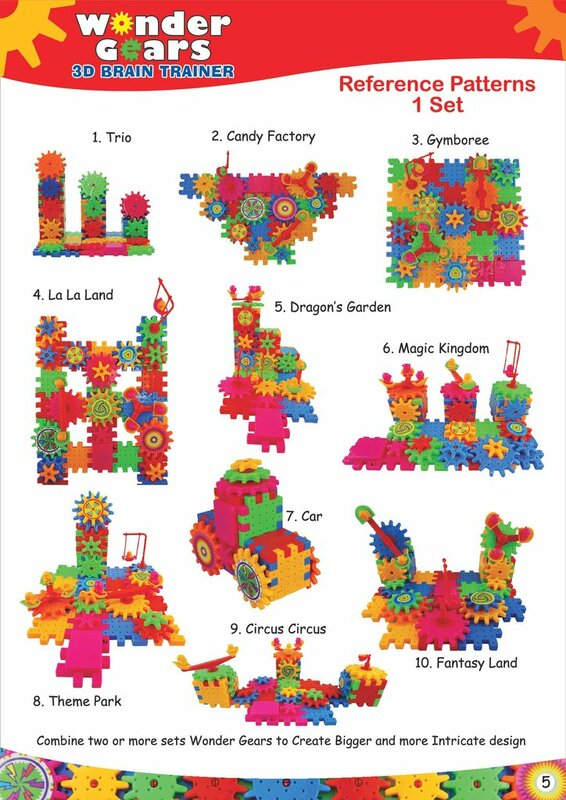 This 81-piece set lets kids create unique worlds each time they use them. Bricks and gears with big, easy-to-assemble blocks. 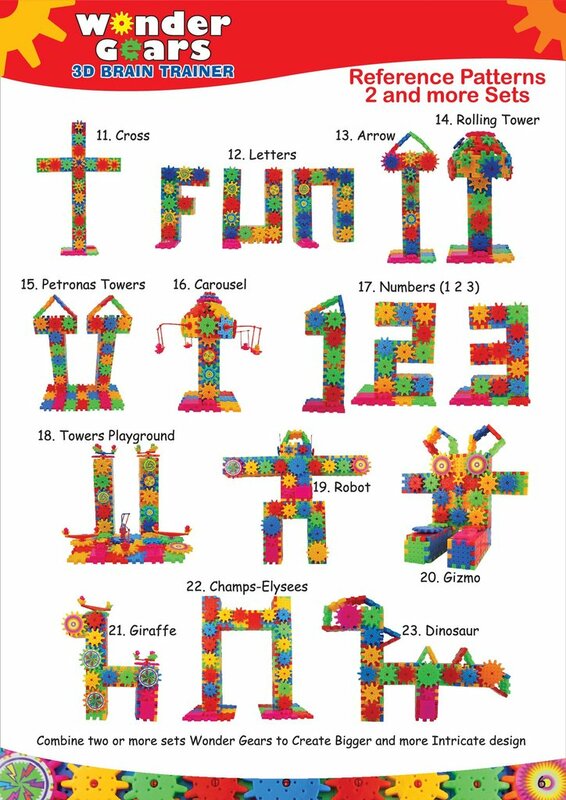 Pieces and be mixed and match to create buildings, towers, platforms and more. Functional, battery-powered moving pieces like a swing and seesaw. Includes stickers to make each piece unique. Not recommend for children under 3 (choking hazard). Motorized gears require one AA battery (not included). Toys are made from BPA-free, recycled plastic (ASTM 963 certified).